In western culture tea is predominantly black. Thanks to a recent increased consumption of tea you are starting to see an assortment of green tea in our homes. Unless you have a special interest in tea those are usually the only two colors associated with my favorite beverage. Most people will be surprised to learn that in ancient China, the birthplace of tea, they distinguish between six different colors: red, black, blue, green, yellow and white. Some of these colors have since been replaced by modern names such as oolong or pu-erh, but each of the six can be distinguished from each other. But how are they different? First we must clarify what is meant by tea. The word is very often used to describe any drink made from combining hot water with something from a plant. The original term only applied to infusions using tea plants. If a different plant is used you are making herbal tea or tisane (a distinction the french language still uses). The six colors mentioned apply to true tea all produced from a single species: the tea plant or Camellia sinensis. Even though there are three sub types based on leaf size and some harvesting properties, the colors really only define differences in the processing of tea. It does not say very much about the origins of the plant leaves. 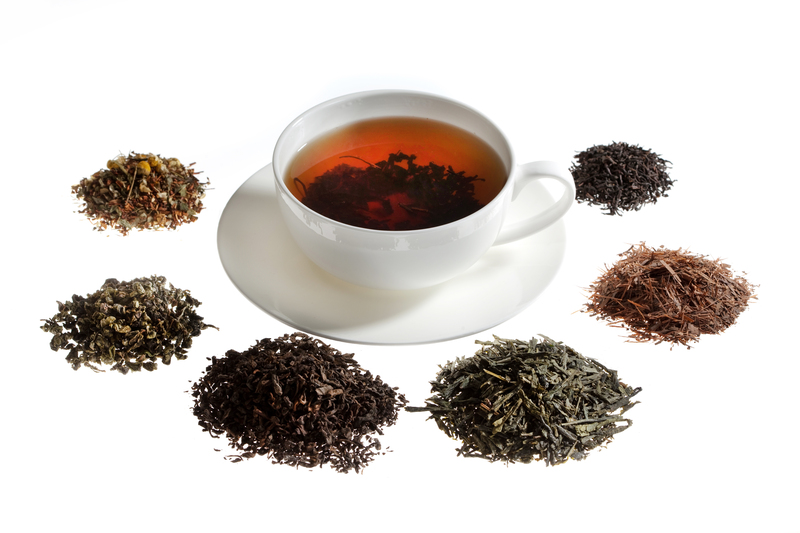 Theoretically any type of leaf can be used to produce one of the six colors of tea, although some of the sub types are more frequently used to make specific colors. Tea processing consists of many steps including drying, twisting, steaming and firing. These steps are designed alter the properties of the leaves and ultimately control how much oxidization and fermentation takes place. The most important factor is oxidation. In the color range the oxidization runs from minimal (in green and yellow tea) to partial (in white and oolong teas). Full oxidization takes place in making red tea (which is what we westerners commonly refer to as black tea). Pu-Erh tea (what chinese refer to as black tea) is the only class of tea which is fermented. A very common mistake made is to wrongly say western black tea is fermented, which I assume must be caused by the confusing translation of red tea to black tea. If you ever have the chance to taste each color of tea you would be one of the lucky ones. Real white tea can be hard to get outside of China and yellow tea is almost impossible to purchase without connections to a tea maker. Previous Previous post: WhatsApp conversations increase your medical bills? When ads are not just ads.